Colliery Dam Park is one of Nanaimo’s hidden wonders. It is a place of adventure, tranquility and excitement that has been passed down from generation to generation. Originally, log crib dams were built on the Chase River in 1887 to provide water for the city. The current Colliery dams, constructed of reinforced cement, were built in 1910. Their purpose was to provide water for washing coal at the waterfront while continuing to be Nanaimo’s water source until the South Forks Dam was completed in 1932. The Colliery dams are a rare link with Nanaimo’s industrial and Coal Mining heritage, and are part of the Community Heritage Register. 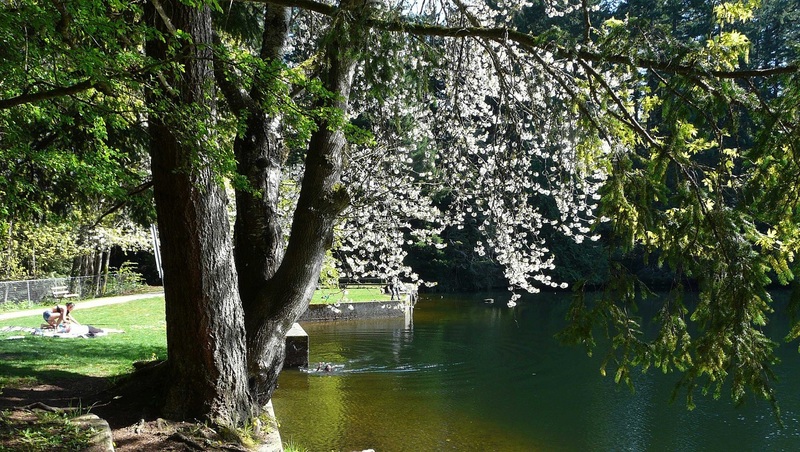 Colliery Dam Park is one of Nanaimo’s larger destination parks, popular for swimming, fishing and hiking. Nanaimoites have revered the park for its serene beauty, wildlife and recreational values throughout the years. People from all over the world comment that the Colliery Dam Park is a unique and precious place. Check out the video below to get a sense of the beauty in nature that the Colliery Dam Park provides to the community year after year.